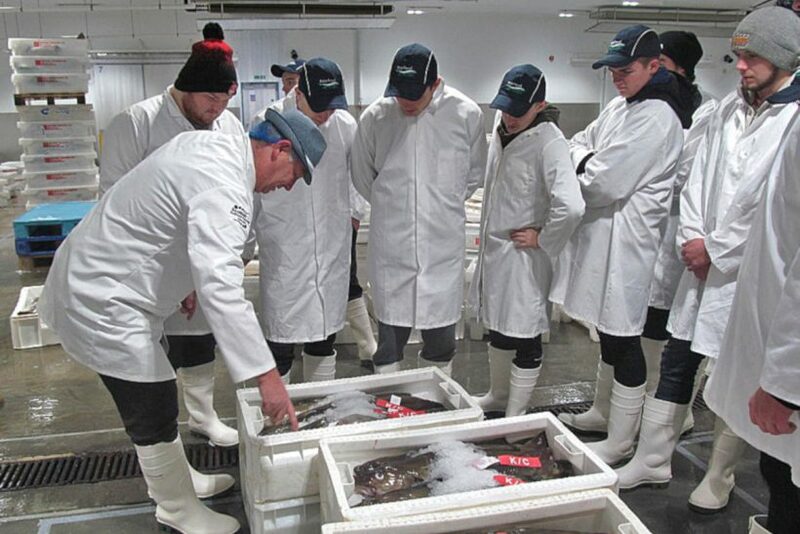 The Scottish Maritime Academy, based in Peterhead, recently piloted Knife Skills as part of the Seafish Introduction to Commercial Fishing course. Course content included understanding the rules for knife care, use and storage; identifying the different parts of a knife; sharpening and honing tools and their use; and descaling and gutting fish. 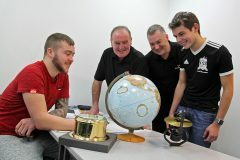 Darren Sim from Elgin was one of the cohort of 12 students who recently completed the course. He said: “Previously I worked in construction as a cable puller. I have always wanted to pursue a career at sea since I was at primary school. 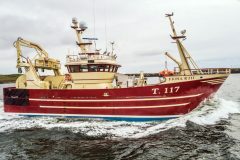 I decided to find out a bit more about the fishing industry, and have managed to do that as part of the Seafish introductory course. 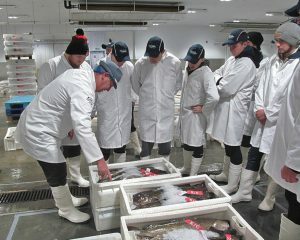 … on a recent visit to Peterhead fishmarket. “It’s given me a good insight into what I can expect at sea. It was mainly classroom-based, but we learnt practical skills as well – tying and splicing knots, and net-mending. 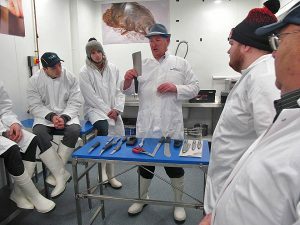 The pilot session on knife skills at Peterhead fishmarket was really useful, and it was great to have a go at filleting a fish.